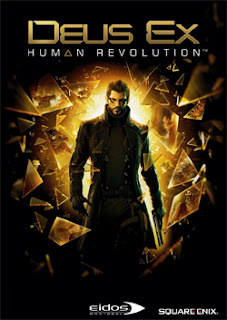 Deus Ex: Human Revolution is an action-adventure with RPG elements, set in the near future where technology has permitted people to replace their inferior fleshy body parts with artificial ones. 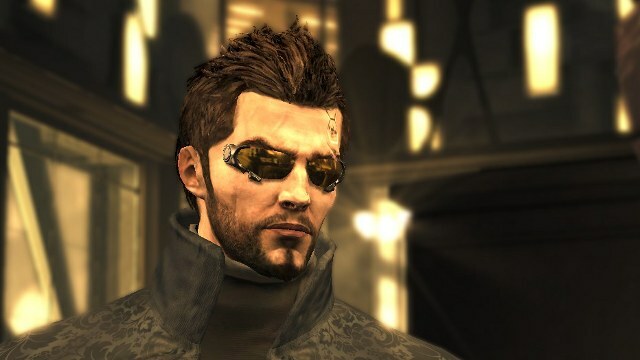 Adam Jensen is the head of security at Sarif Industries, a company who manufactures and designs this equipment, who develops a very sudden and pressing need to be augmented when he apparently has his entire body blown off in a terrorist attack on his office. This twist of fate endows him with a tantalising array of superhuman abilities, with more that can be unlocked, and as a result he becomes just the soldier-detective hybrid Sarif needs to hunt down the group responsible for the attack. Aside from all this, AJ is devilishly handsome and effortlessly cool, but that’s a story for another time. The story flirts with the philosophy of the whole human augmentation issue on a fairly superficial level, but nevertheless makes good food for thought when combined with Eidos’ vivid science fiction vision of a corrupt capitalist society. There are various perspectives weighing in throughout the course of the narrative, amounting to the characterisation of a world perilously on the brink of either great advancement or abrupt downfall. There are no spanning paths through the game, but the way you handle important interactions with other characters will alter your standing with various groups and individuals, some powerful, some impotent. There is no inherent moral compass in this game either; it is up to the player to carry the burdens and reap the rewards of his choices, a system which increases the immersion and freedom of the game’s interactions. As for the setting, two main cities constitute the overworld; HR’s Detroit portrays a troubled city trembling in the shadow of Sarif Industries, while Hengsha is a radiant metropolis where progress and decadence alike have taken hold. Human Revolution complements its story with its striking art style. For example, it’s hard to avoid the luminescent grey-gold livery that engulfs pretty much every piece of promotional material, and remains a consistent element in the game’s aesthetic. There has clearly been a considerable effort to see that this gritty near-future has been realised in great detail and looks pleasingly smooth and functional in motion. New to the series is an obligatory cover mechanic, as per the contemporary standard, which greatly aids both combat and stealthy manoeuvres. At first, the frequent alternation between first and third person can be a little distracting, but with time it becomes more natural. It makes remaining invisible to your enemies substantially easier than in previous Deus Ex games, and consequently serves to maintain the pace of the game as Jensen can quickly and discretely move from place to place with good timing and planning from the player. HR offers the full complement of augmentations from the very beginning, which greatly serves the open yet structured nature of the gameplay; your very first upgrade can be anything from the self cloaking ability to a crowd control device which shoots a salvo of missiles from Jensen’s chest. The majority of upgrades pertain to stealth and the persuasion of both humans and machines to do your bidding, and for this reason most people will probably be inclined to employ a more cloak and dagger approach to their objectives. Fortunately, this also opens up many opportunities to explore the vast underworld of hidden rooms, secret entrances and unattended computers. These are not only satisfying to discover, but make the world feel more complete and conscious. The most widely criticised element of DE:HR is the jarring and occasionally pointlessly difficult boss battles. There are three such battles in the game, only one of which is particularly troublesome, but they all overwhelmingly devolve into frantically showering the enemy with explosives while forsaking all the fun of the augmentations and abilities that Jensen has earned. Considering the focus on stealth and subtlety in Human Revolution, and the series in general, this uniformly brute force approach to boss combat is disappointing, but thankfully these encounters are a very brief and infrequent interruption to an otherwise sprawling and magnificent game. The only conclusion I can come to about DE:HR is that it is an immensely fun game that seamlessly blends action and role playing in a way which will satisfy fans of both genres (and let’s face it, who doesn’t like at least one of the two), and there has never been a better time to grab it on Steam.